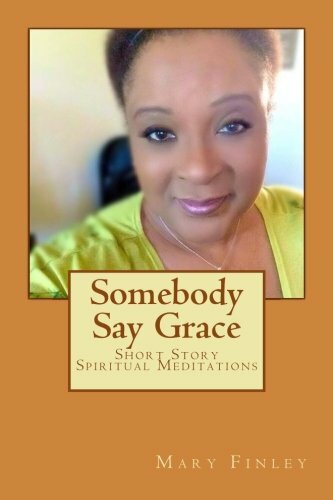 Somebody Say Grace is a book of brief meditations gathered from illustrations used in the author's sermons over the past 23 years. She's always found it effective to use stories from her personal life experiences as a tool in conveying the gospel message to others. In these six small stories, she reflects mostly on her childhood. It is the author's hope that these homilies will feed the hearts, minds and spirits of the readers. Nominated for 2013 Female Author of The Year by Oosa Book Club's All Things Literary Awards, Rev. Mary Ann Finley is a native Oklahoman and ordained minister with over 20 years of experience. She holds a Master of Divinity degree from the Interdenominational Theological Center/Morehouse School of Religion in Atlanta Georgia. From 1994-1996 she served as an associate minister of The Friendship West Baptist Church, Dallas, Texas; from 1998-2002 she served as full time assistant pastor of The Historic Ebenezer Baptist Church, home church of the late Dr. Martin Luther King, Jr.; from 2004-2013 she served as associate minister of her home church, Mt. Olive Baptist in Newport, OK, and currently holds a position as assistant pastor of Hopewell Church in Wynnewood, OK. This is her second book in print.